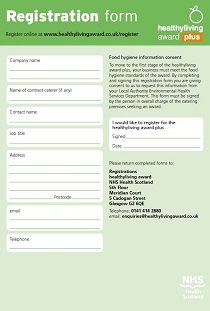 The healthyliving award plus is a higher level of award, which rewards catering establishments that demonstrate a greater commitment to supporting healthier eating. To be eligible to apply, you must have held the standard healthyliving award for a full 2 year term. Vastly improved knowledge of healthier food. At least half of the items in each section of the menu must be healthyliving choices. If you've already renewed your healthyliving award or are approaching the end of your first 2-year term, you may apply at any time for the healthyliving awardplus. 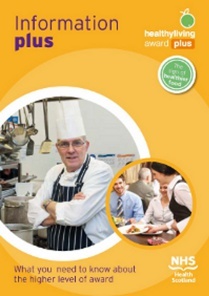 Download the healthylivingaward plus information booklet.